Cobute Precast Solutions is proud to be adding value to Big Ben Construction's latest residential project, Clara Anna Fontein, with its unique stairs system. The exclusive lifestyle estate, developed by Rabie Property Group above Durbanville, consists of 344 single, residential townhouses with mesmerizing views of beautifully landscaped parks, protected wetlands, and a private game reserve. Phase 1 is completed and Cobute is the preferred staircase and roof beams supplier for the two-storey units, with a contract of design and supply. The R.C. 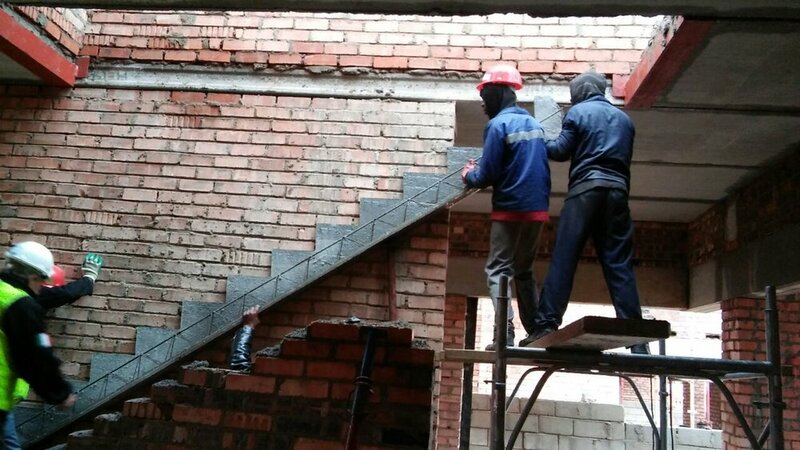 precast shutters for staircase designed by Cobute allow easy manoeuvring of the elements and fast and modular installation,ensuring long-lasting structural performance. To date, over thirty staircases have been installed and cast. The project underlines the adaptability of the stairs system. In the specific, most of the staircases join hollow core slabs via starter bars that are welded to a steel beam section. The project is ongoing and this post will be updated with images as developments take place. Chat to us to receive a Cobute proposal for stairs and beams on your next project!